Home is where the heart is. Nothing beats love. It’s a joy to step into a home filled with loving family. It gets better when the foyer decor backs it up! 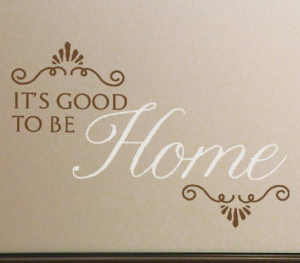 ‘It’s good to be HOME’ wall letters are available from DecorativeLettering. These are unique and eye-catching wall decor. Here’s how we made these white walls look amazing! We applied two colored wall letters above the framed mirror. We made sure that they tied into the floor and the barrister leading to the landing. The bold and curvy wall lettering style created a whimsical feeling. The final result is a stunning way! 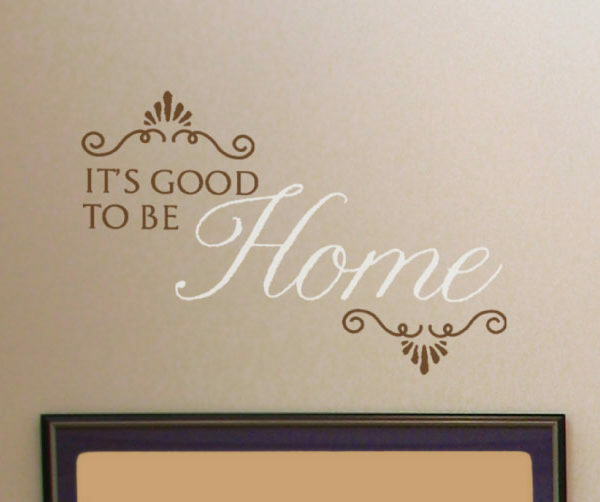 Friends and family will love your heartwarming welcome! 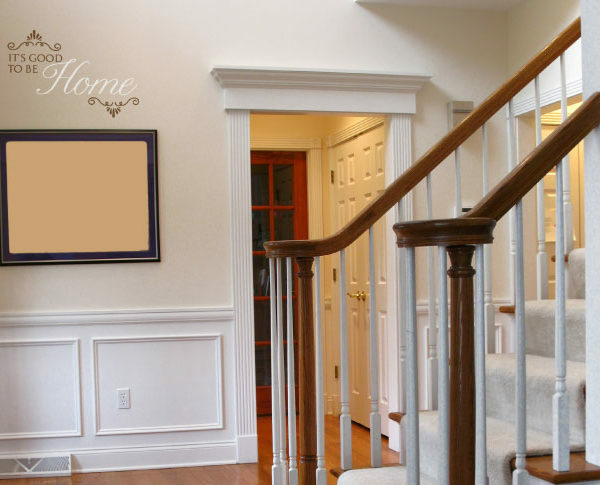 Are you looking to decorate your entryway with unique wall decor? Look no more! At DecorativeLettering we have wall letters that are not only great to look at but also worth every penny spent. You may select a quote from our library or opt for a custom one. Our designers will work with either. They are good at what they do: you will end up with high quality and stylish decor. 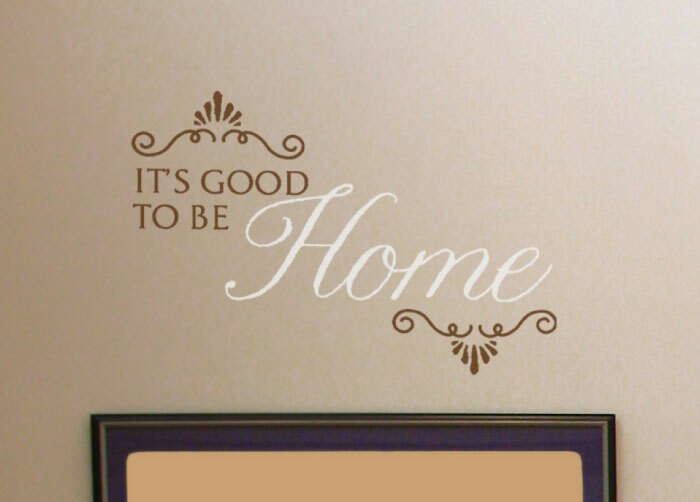 Our prices are pocket-friendly and our wall words durable. 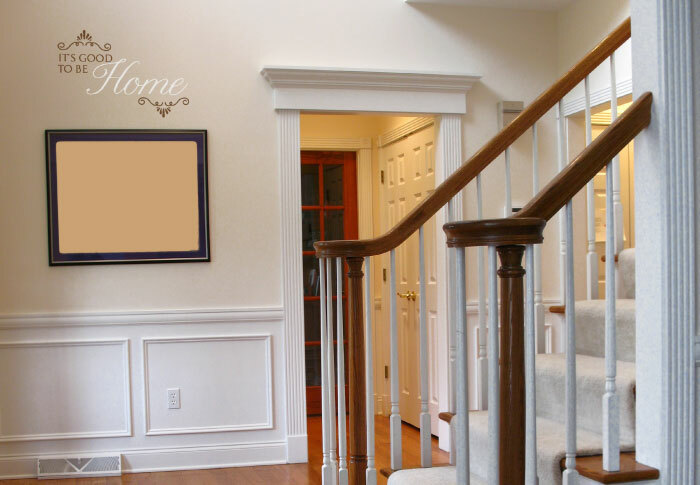 They are also easy to apply and remove should you wish to change to a different wall space! Get in touch.We would love to hear from you!